For transfer of materials (stoppers, vials, caps, etc.) into a sterile isolator or aseptic barrier system requiring a high sterility assurance level. 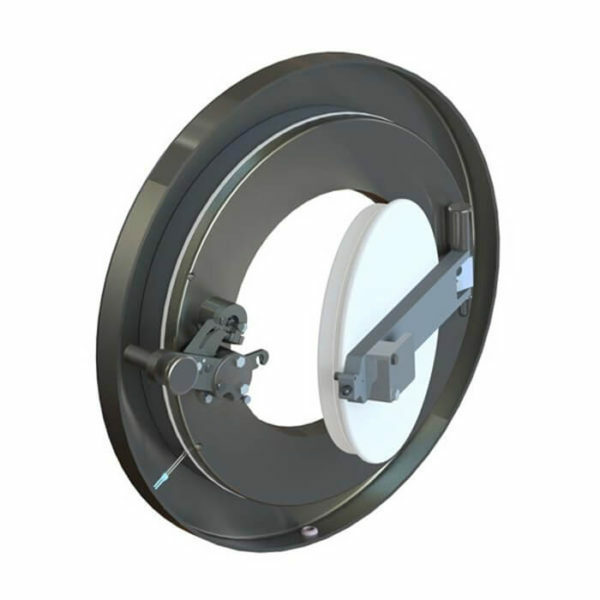 The Sterilizable Rapid Transfer Port (SRTP) is a Double Door system featuring CRL’s patented dry heat technology. Unlike UV sterilization techniques, our dry heat sterilization method eliminates concerns often associated with contaminated seals resulting from inconsistent aseptic wiping or shadowing and stacking. An electric heater is installed in the alpha flange at the intersection of the seals (high temperature zone). This critical zone is heated to 190° C and held for a predetermined time after Alpha & Beta are docked. Independent tests have shown that a 6-log microbial reduction can be achieved at the sealing surfaces of the SRTP. Visit the Beta Assemblies page for information about compatible CRL Beta Containers and Accessories for our Transfer Systems.